Leigh Kamman called him "an international voice...the Jazz Messenger Supreme." The manager of a Paris nightclub where he performed called him "astounding and unclassifiable" (probably in French). Bruce Henry knocks my socks off. 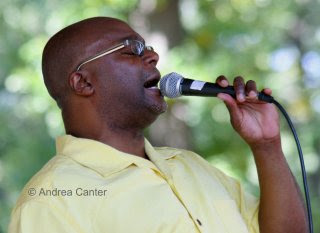 Hear him sing "Afro Blue" and read about his upcoming holiday show at the Dakota.